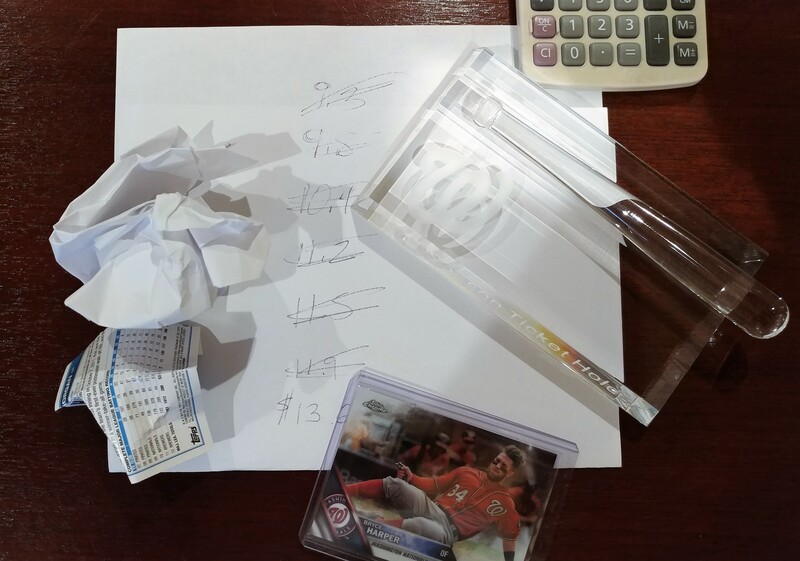 The pencil shavings and eraser crumbs were sprinkled all over Mike Rizzo’s desk yesterday as he kept sharpening his pencil over and over until Bryce Harper, Anthony Rendon, Tanner Roark, and Derek Norris all agreed to their 2017 salaries. Of course there were a few heartbeats skipping as the deadline approached as Tanner Roark ($4.315 million) and Derek Norris ($4.2 million) had both agreed to their deals, but the two Boras clients, Harper and Rendon, were still not publicly announced by the 1 pm deadline at the MLB offices. Then there came word that Harper was done (salary undisclosed) and minutes later, Anthony Rendon ($5.8 million) had his deal also. The Nationals came to terms with all arbitration-eligible players. The #Nats have avoided arbitration and agreed to terms on 2017 contracts with Bryce Harper, Derek Norris, Anthony Rendon and Tanner Roark. Harper not only blew away the salary estimates, he blew away what Machado received by just under 20%. Even in the face of tight revenues and the uncertainty of the MASN television rights, the Lerner’s opened up their wallets wide for Harper. Harper also has now become the 5th highest paid Nationals player with his new salary which now has surpassed the team’s 2016 MVP, Daniel Murphy, who is earning $12.5 million a year on his three-year $37.5 million deal. 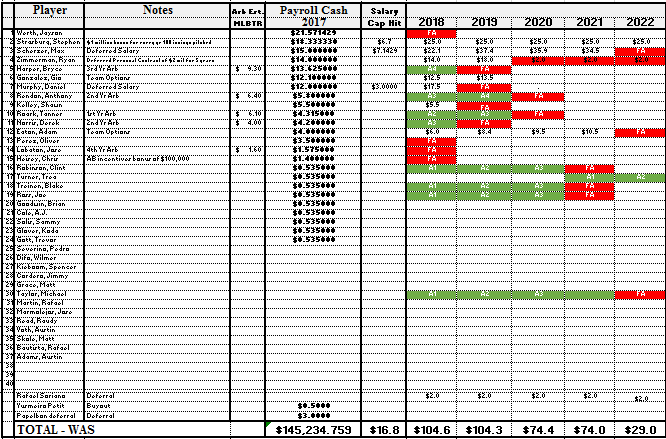 This salary projection spreadsheet is based on the current cash expenditures which excludes salary deferrals. What we do not know is the actual budget. As the Nationals are at $146 million, and thirty-seven players on the 40-man roster, Mike Rizzo still has some spots to add to the roster, and that will push these combined salaries even higher. Time to crunch some numbers, and take that budget and see if we can budge it even higher. This entry was posted in Analysis, Harper, Lerners, MASN, MikeRizzo, Rendon, Roark. Bookmark the permalink.